Everything about it sounds great, but California Car Cover makes a cover that is lined in Flannel and is slightly cushioned. It's also a custom fit per your car. It's strictly for indorrs, so weather proof is not a concern. Mostly dust and slight scratches from people brushing up against it with there heavy winter coats. I'm still debating Is the cover strechy, like with Lycra? Also, is the lining like cotton or flannel? I know you said it's not that soft, but what is it lined with? Does anyone know if it is okay to leave the car cover on in the rain? I have heard that it will cause scratches on your car. I am not sure how true this is however. 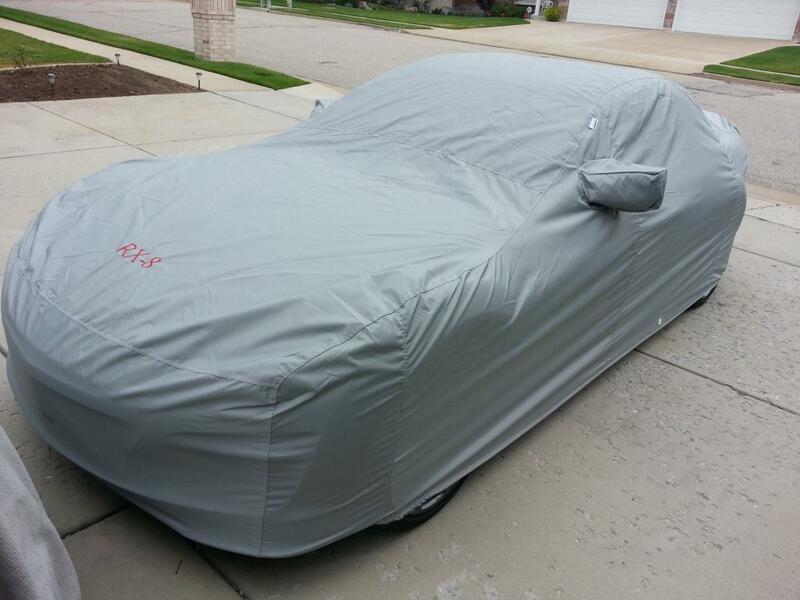 I have the Mazda car cover, and it looks great. The inside is not lined with fannel, but the material looks smooth enough not to scratch. For my planned Exterior Winter (snow/sleet) coverage it looks like the California Car Cover Superweave would be well superior to the Madza cover. Anyone have any similar experience? Can someone post pics of the various one (Mazda, california etc.) actually on their cars just so we can see the fitment? I have no pictures and the cover has been put away, but I chose the Superweave. I keep it covered in the garage so I can't say how it holds up outside. They claim it's their top of the line cover. I purchased it because it's strong, lightweight and can be washed. Fit's great, maybe not as snug as the OEM, but snug enough. I veered from the OEM because of how tight they said it was. My cover is a bright Red to go with my car and I had them stitch 2004-RX8 (inlcuded) on the nose. I may have paid for an extra letter. They did a great job. I went ahead and got the California Superweave for Winter storage. Should have it next week. I just picked one up at Wally Mart, I believe it was size 2 of the cheaper cover they sold, fits well and I am happy with it, my car is in the garage for the winter, cover was 20 bucks. Also, how does it hold up outside? 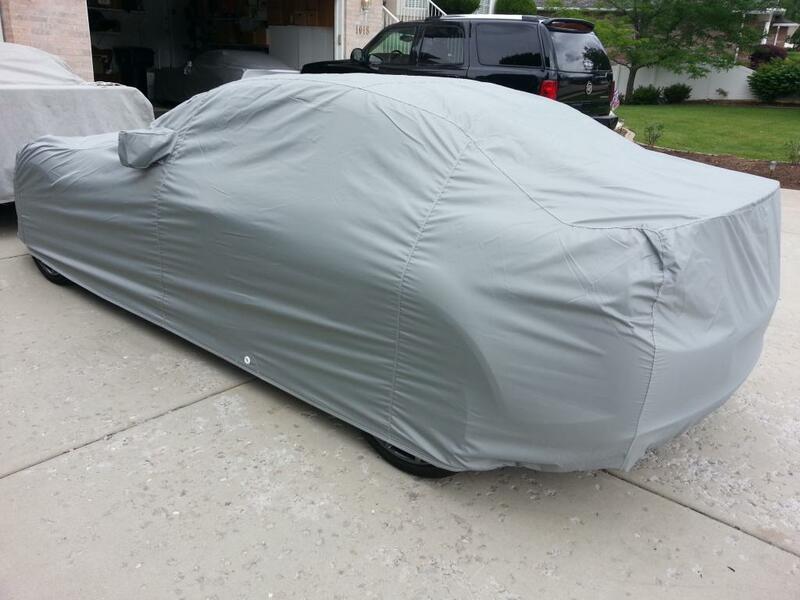 Be weary of where you buy your "OE" car cover. I have two Mazda car covers and one is cheaply made with no soft touch material, and the other is of high grade material. Both came with the car I purchased though so I have no idea where they originally came from. Post some pics, I want to buy another one but do not know who sells the good quality ones. Did you receive your cover? How did it turn out? I did but it didn't fit my R3 so I sent it back. It seemed like a nice cover and good material but I couldn't even get it over the back of the car. Just ordered a custom fit cover from California Car Cover. It's being made so I should have it in a couple weeks. Should fit a lot better than the OEM one I bought and sent back. My guess is you did not loosen it, my OE cover fits my GT with wing and yours is not bigger than mine. It is extremely tight, but it is supposed to be. 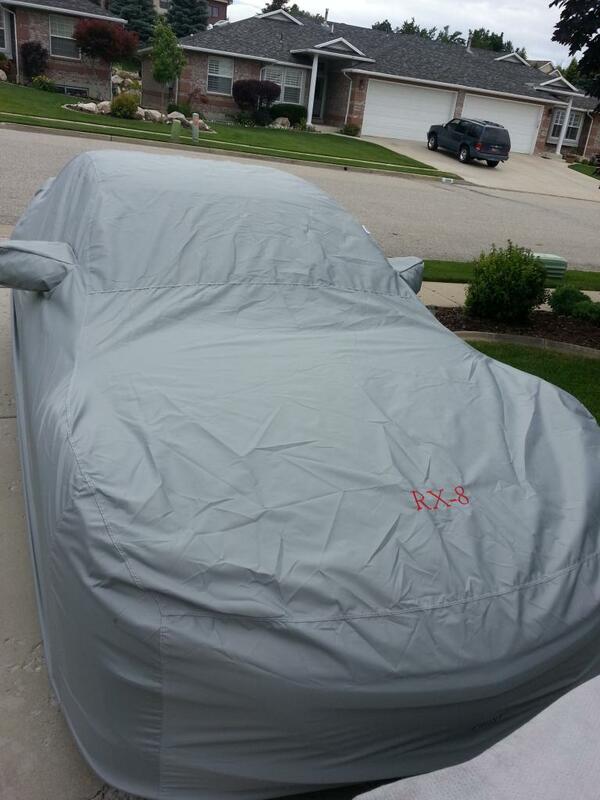 Here's a few pics of the new car cover. It's a custom made California Car Cover. looks like a nice cover, congrats. Thanks. It fits a lot better than the other one I bought. And that's a good idea, I always make sure I just cleaned it before I put the cover on.